I am very happy to share with you guys that in 21 days from today, I will be headed back to Detroit to cover the North American International Auto Show with Ford Canada. Among only 154 others selected across the globe, it is very exciting. It is always exhilarating to be among fellow journalists and influencers as they take over Detroit for a few days. This year it is from January 11th – 13th and then on January 16th it will open to the public until the 24th. 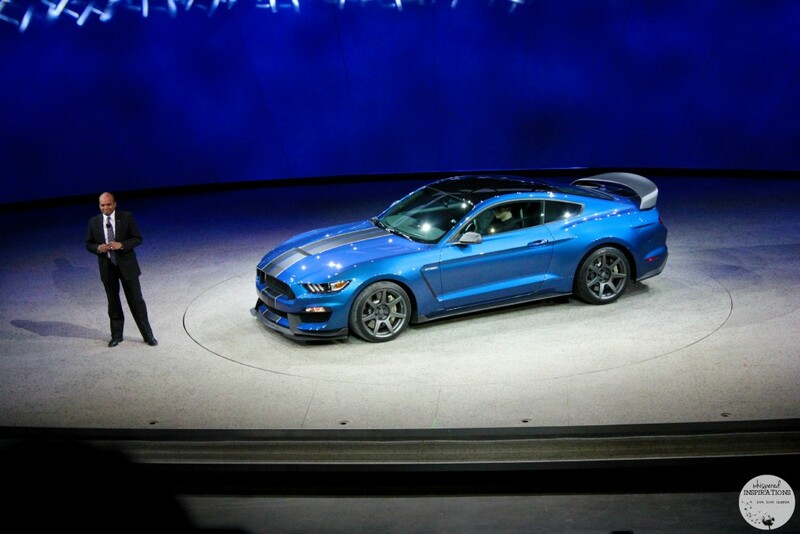 I know that each year, car manufacturers like Ford make big strides and continue to improve. I am anxious to see what is to come for Ford and what they will revealing this year. 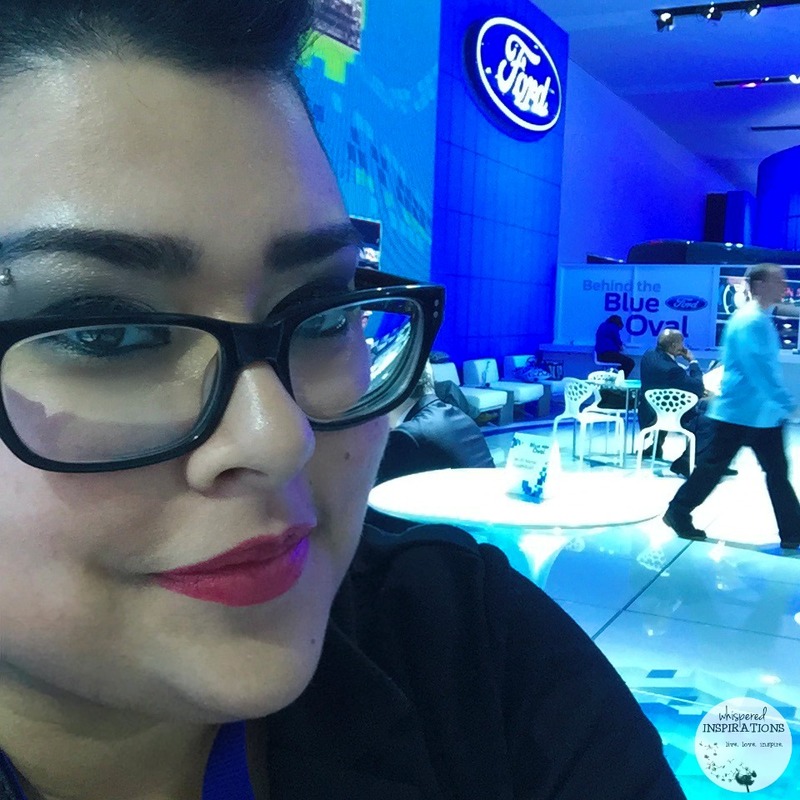 I attended last year and you can see my Day 1, Day 2, MKX Reveal, the 2017 Ford F-150 Raptor, Shelby GT 350R and GT reveals and the Ford Rouge Factory Tour coverage. It was an incredible experience and it was phenomenal to be in the action of it all. Also, I am very thrilled to be invited again this year, it will be a fun ride! 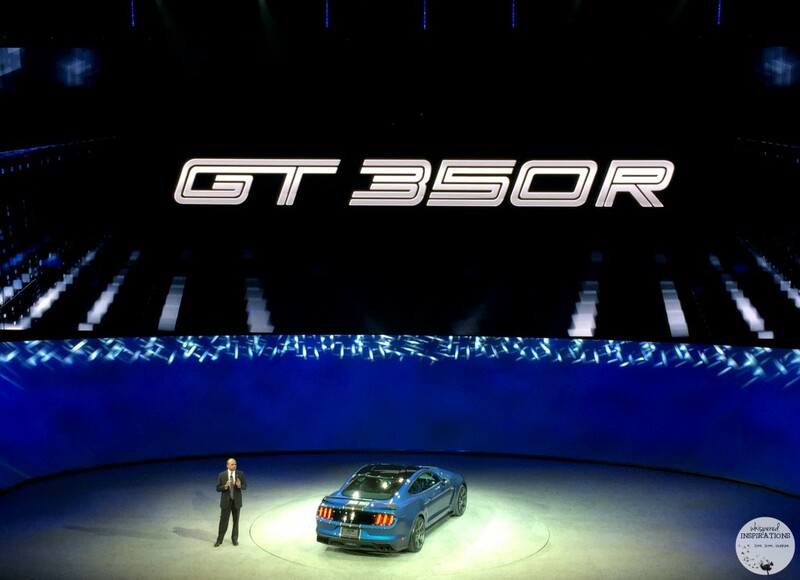 2015 was an incredible year for Ford, they revealed some of the most beautiful cars like the Shelby GT 350R which roars like a beast, not only did it make jaws drop but, the flashes were blinding and all you can hear was the shutters of cameras. 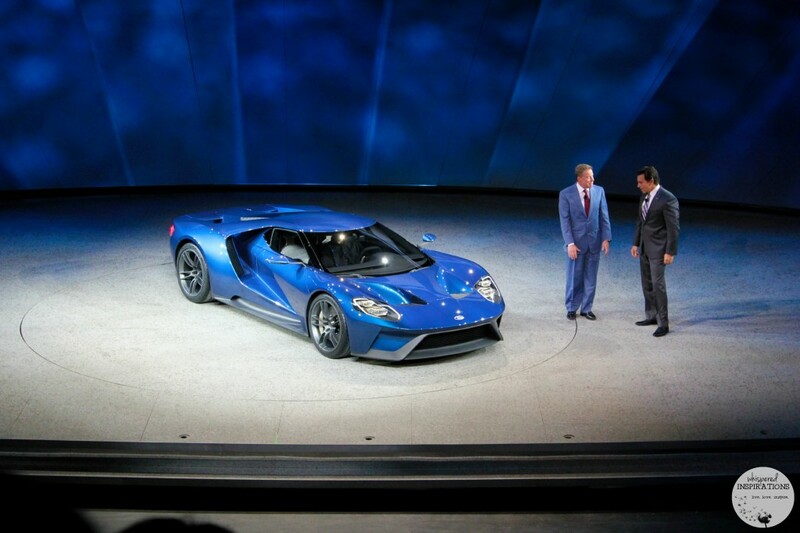 The Ford GT was just as incredible to see and hear as it was revealed! 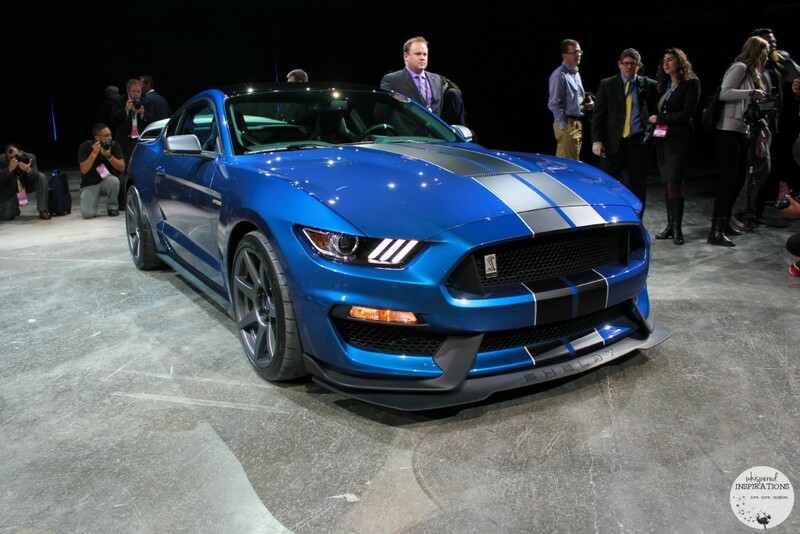 If the Shelby GT 350R hadn’t already stole the show, the GT did so at another level. It was sensational and an exotic take from Ford that has never been seen before. C’mon, 600HP. Just incredible! 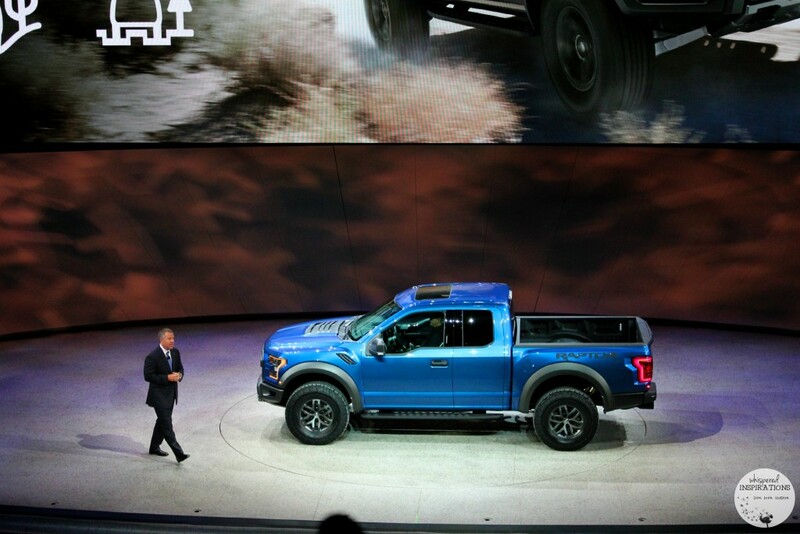 But, the 2017 Ford F-150 Raptor was a sight to see, even more so when Ford listened to their consumers and built a truck that best suited their needs. Not to mention, Ford won Truck of the Year and it isn’t a surprise since it gets better every year. The F-150 has been the country’s best-selling vehicle model for many, many years. Ford has made great efforts to make their award-winning vehicle greener. Which makes it that much more attractive to owners, new and old. For example, when Ford F-150 consumers asked for a lighter body, Ford responded with their extensive use of aluminum on its 2015 model. By doing this, it cut weight from the truck and there was a boost fuel efficiency as a result. The F-150’s include cloth seats that use fiber made from recycled plastic bottles as well as fuel lines made with castor bean oil. During my tour of the Ford Rouge Factory Tour we learned all about their green initiatives from their living roof that acts as insulation in the summer and winter to the process of collecting paint overspray. They then convert it to plastic and then sell it as fencing. I cannot wait to share the reveals, the excitement and the inside scoop about Ford as it happens! Make sure you keep an eye out for coverage via all my social outlets and this site! Very happy to be able to see some familiar faces of colleagues and the chance to meet some in person for the first time as well! I will be attending the media conferences and if there is anything you want to see while I am there, just let me know! 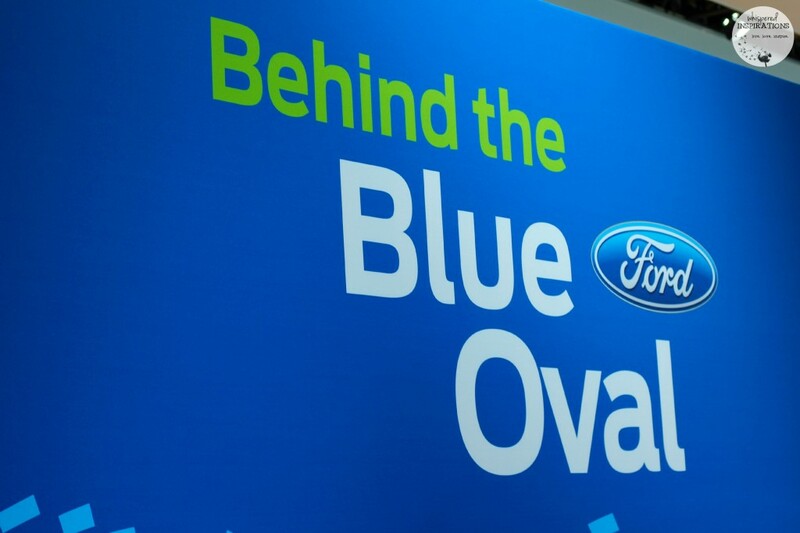 Follow along by using the hashtag #FordNAIAS and I will be sharing on Instagram, Facebook and Twitter. Previous Post: « Forget Screen Time and Keep Playtime FUN with MEGA BLOKS + Giveaway! Thank-you! Please do follow along! My husband would be so jealous of you if he knew. I hope you have an awesome time. Can't wait to follow along. Thanks for following along. My Hubs is jealous too! I love going to car shows! Grew up going with my dad to them every year! That would be an exciting opportunity. It is always fun to see what new developments there are in motor vehicles. I am sure you will have a blast! I would love to go and see what all this auto show has to offer. Enjoy! Thanks so much! It will definitely be an experience! Oh, so cool! I went to NAIAS with Ford a few years ago and it was an awesome experience. Have fun! Thanks, it really is a lot of fun! This looks like such a great time! I am glad you are able to go, would be fun time. I've never been to a car show before. OH wow, what a cool look at what's new and coming! 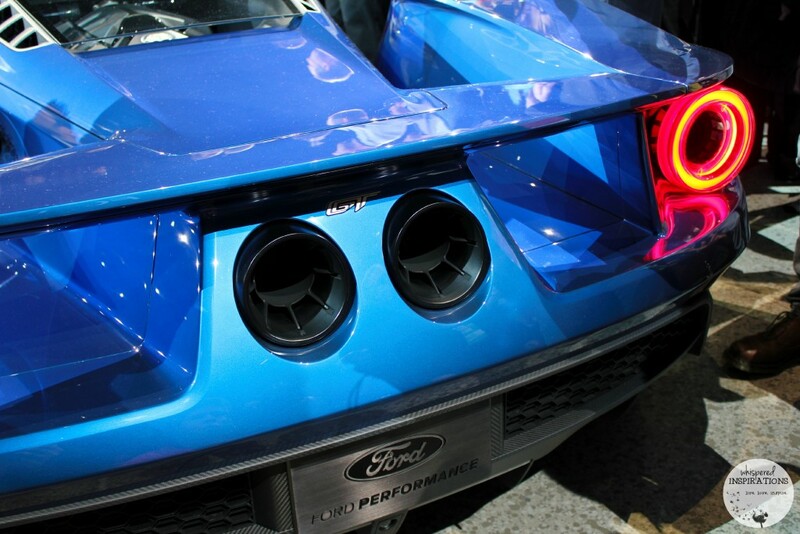 Ford has innovated so much over the years! Wow, that car show sounds like a lot of fun. Love seeing all the new cars coming out. I've blown away with how amazing that car is. I'd love to go to an auto show with my brother, he's way into cars, especially Fords. Looks like it is going to be a very fun time! Have fun checking out all those amazing whips! Thanks it will be a lot of fun I think! Wow! Detroit is so famous for cars. I'll be following along on Instagram. Can't wait to see. It is the Motor City! Thanks for following along, cannot wait to share! Wow you must be excited cant wait to hear all about it be safe on your trip ! I am not into cars, but getting to go to an event like this is definitely exciting! I can't wait to hear about it, I hope you have good time! Don't forget to enjoy! Woah. That looks so cool. Ford auto is really famous, I'm sure my brother would love this. Ford is definitely a leader. I am sure he would have fun! I am so excited to see what the unveil! I love the Detroit Auto Show! Nice! Never been to a car show before. It does look like a lot of fun and also informative of the company’s vision and goals. I also have never been to Detroit. Sounds like a good time! How exciting, I'm sure you will learn a lot. Have fun! I am sure this is going to be another exciting event. I would love to attend an event like this. It is open to the public soon, make sure you head over! It is the Motor City but, whenever there is cars–it is awesome! This is amazing event. One heck of a car at your photo! love it! Thanks, it is an awesome event! i've never been to detroit and dont know anything about cars haha but nice to read and thanks for sharing your happy moment! I have always dreamed of owning an F-150 Raptor! It is the best truck for me. I love the outdoors and I know this Ford F-150 will be my best on and off road buddy! It is a wicked ride. No wonder it their best-seller! What a fun thing to do. My best friend is into cars, her mother built a lot of them, I just think some look cool lol. It is always a great time. I love cars!